Gearing up for their first Easter period, a small business in South Australia’s Barossa Valley is providing a sweet learning opportunity for one family. Ability Chocolates is the project of Chris Doecke, who bought the business in March last year to give his 25-year-old daughter Rachael an opportunity to experience meaningful work. Rachael was born with Wolf-Hirschhorn syndrome and is unable to hold down a normal job like her peers but her parents’ decision of running a family business is providing her with a sense of purpose in a fun and safe environment. “Her physical and mental capabilities are that of a 7-year-old,” Mr Doecke explains. “However, ever since she finished school, she has wanted a 'job'. 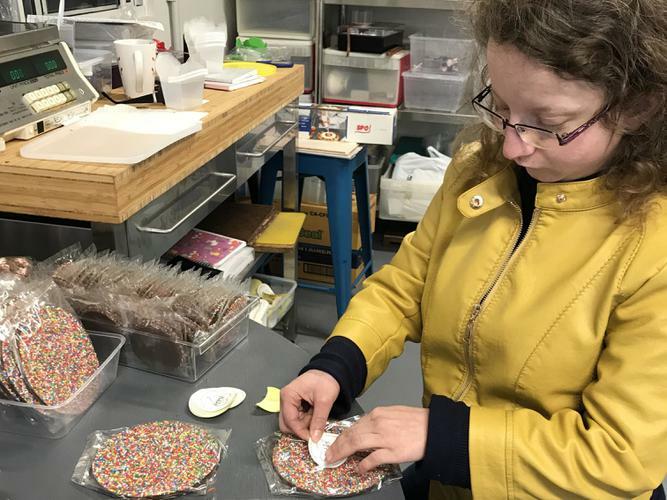 Originally Barossa Gourmet Confections, the business was renamed Ability Chocolates to take the ‘dis’ out of disability. Describing Ability Chocolates as a ‘micro-business’, Mr Doecke also recently welcomed one of Rachael’s friends Emily, who has Down syndrome, to the team to help make the chocolates each week. “It's been so much fun. “Both the girls enjoy spending time together,” he says. Milk Chocolate Freckles and the Rocky Road are popular among the local community, however, the team has been making chocolate eggs ahead of Easter. “The girls have been busy with the making of them and now will have fun with the labelling and delivering in the next two weeks,” Mr Doecke says. Although Easter orders are now closed, you can find Ability Chocolates in several coffee shops and wineries in the Barossa Valley or place an order via Facebook for home delivery.